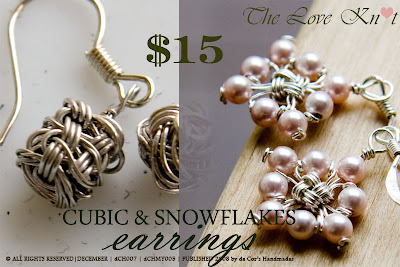 Learn to create beautiful CUBIC & SNOWFLAKES' Earrings on the fly! You save more than 10% purchasing this value pack! The PDF format document will be sent to the E-mail address set in your PayPal account within 24 hours or lesser upon payment received.